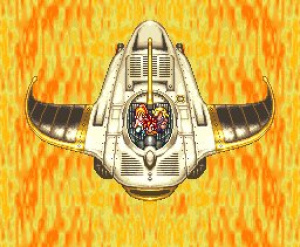 Soon after Chrono Trigger appeared on the Super Nintendo in 1995, it quickly became regarded as one of the most unique and impressive RPG releases to hit the system. Not only was it developed by a who's who of some of the greatest role-playing designers in the industry, the finished product showed a level of polish that few fans of the genre had seen. While it came late in the life cycle of the console, it's gone on to become one of the most collectible RPGs available for the system and a game that still draws rave reviews from role-playing fans even today, almost fifteen years later. Now, after a rather significant wait, the epic RPG has finally arrived on the Virtual Console service. 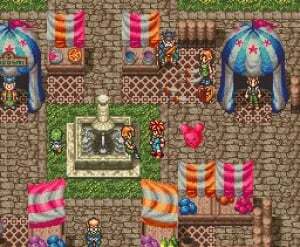 In many ways, Chrono Trigger plays much like the 16-bit Final Fantasy releases, namely in how your party travels around a world map. While you won't encounter enemies while on the map itself, once you enter many of the areas, you'll quickly find enemies bad guys in your way. You'll also find that time travel plays a big role in the game as well, and it's one of the many things that gives it its unique narrative flow. But for all of the travelling you'll do, it's the battles that make up the meat of the experience and offer quite a unique spin on the turn-based battle system used in the Final Fantasy series. Chrono Trigger takes the ATB, or "Active-Time-Battle" system from Final Fantasy VI and improves upon it even further. Now you can perform attacks called Techs, basically specialised moves that can dish out powerful hits on enemies. You can also team up with a party member or two and put these powers together to perform Double and Triple Techs for really devastating results. These very much come in handy with some of the stronger enemies and bosses you'll face throughout the game. As with Final Fantasy VI, magic also plays a key role in Chrono Trigger, as find out soon after beginning. One of the main unique points in Chrono Trigger is that you can now see your enemies before they attack – if you want to fight, you can, and if you'd rather not and they don't sneak up on you, you can always avoid them. Keep in mind, though, that fighting enemies is an important part of the experience as you need to do so to level up your characters and earn money to buy stronger weapons and armour. The inclusion of techs and the ability to see your enemies really adds an entirely new level to an already impressive Final Fantasy-style gameplay system. Couple these features with the ability to move back and forth through time, not to mention thirteen different endings, and you have about as much gameplay variety as can be squeezed onto a single Super Nintendo cartridge. Graphically, Chrono Trigger is among the best-looking games ever made for the 16-bit console. Not only does it sport some of the best looking Mode-7 effects seen on the system, it also has a level of colour and detail that's just not present in any other SNES RPG. Ever single area and time period has its own distinct trademark look to it, and it really gives the game a feeling of being even bigger than it already is. Impressive details abound in every single area; even the characters offer some extremely remarkable animations that make them much more expressive than the standard for 16-bit titles. Even holding its own next to games with rendered graphics, Chrono Trigger is easily one of the best looking releases for the system and a good example of just how graphically impressive the Super Nintendo system can be. Square has always had a knack for bringing some of the best soundtracks to their RPGs, but they've truly outdone themselves with the score in Chrono Trigger. It has some of the most beautiful music you'll ever hear in a video game. From the softer ballads to the up-tempo battle tunes, there's just so much aural intensity throughout the game. Every piece composed for each area carries a distinctive mood that always seems to fit the scene perfectly. In truth, there's not a mediocre track included, and you'll soon find that the music just keeps getting better and better the further into the game you progress. It's easily one of the most amazing audio performances ever created for a video game and a fitting addition to such a well-rounded package. Chrono Trigger is, and will always be, one of the most unforgettable RPG experiences ever to grace a video game console. Even the first time you play it, you'll immediately know that you're experiencing something special that you're not likely to forget. Not only is every area top tier, it brings so many new ideas to the table that give it its unique look and feel. It might have been a long wait for the Virtual Console release, but it was certainly well worth it, and yet another testament to how truly remarkable a system the Super Nintendo console turned out to be for RPG fans. In my opinion, if any game deserves a perfect score it has got to be this one. Before I read this, you didn't copy and paste your original review, right? Great review! Picking it up tomorrow. Great review of a great game. Will be downloading this one later this week hopefully. Not just one of the best RPG's of all time, but easily one of the best games of all time. Nice review and worthy of a 10/10. I'm just playing the DS version at the moment but will be downloading it straight away this Friday when it's released here in the UK on the VC, so I can play it on the big screen. Great review, Corbie. One of the greatest RPGs out there, and one of SquareSoft's best (alongside Secret of Mana). I can't agree with this score, because this game is guilty of the "boss with 1000 forms" which is my biggest peeve in video games. Yes, yes, I know you can skip a lot of Lavos' forms and fly straight to him, but if you actually want to beat the game as intended, there are WAY too many forms to deal with and it takes over an hour of annoying battling against a boss that isn't even fun or difficult. I'll have to download this soon. I was never really interested in this before, but I'll try it for $8. I'm still not really clear on WHY it's one of the greatest RPGs ever, but I think I'm going to download it anyway because I've always wondered why the Internet is so annoyingly obsessed with it. Or maybe I've just always been bitter because most of my favorite RPGs never got that same kind of love and recognition that I thought they deserved. This review and score made me want it even more. Hurry up, point card, and get here already! Is the DS version better? I thought that was the coolest thing about Lavos. It's like one big testament to every boss you've ever faced. @Shmavey hmm, that's hard to answer as it tends to be a matter of opinion. 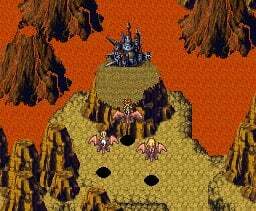 The DS version includes the anime cutscenes added in for the PlayStation version, an extra dungeon, a re-translated script and some other features. The dungeon is not regarded as a positive addition as it's boring, the script matches more with the original Japanese one apparently and the cut scenes are a nice addition. Amongst the other features is a list of the endings that you have seen which I really like, there's also a pointless monster battle mode, list of monsters in the game and probably something else. It really doesn't matter in my opinion and would just get whatever was cheapest. It has been a loooooong time since I first played this (Long enough that I don't remember which ending or endings that I got, nor the story. I need to see if I still have this for the SNES. Of Course if I wanted to play it, I'd have to hook for and hook uo my SNES. ~Though I could download this for the convenience. Also, the DS version is definitely the definitive version unless you absolutely have to play it on a big screen methinks. Can't say I disagree with the score. Well, now I have no excuse to get this game. The score is way too low, Corbie! The score should be 20/10! But yes, this game is the pinnacle of perfection and I cannot see one thing wrong with this masterpiece. I have beaten the DS version and I am now playing the VC version! Awesome review, Corbie! Me: I have never played. Never actually played it(Gasp) but ill definitely buy it! Good. I came to see if this got a 10 or not and it did so i will continue to come to this site, NintendoLife, you passed. Probably my favorite game ever. It has a lot of feeling, Akira Toriyama has a lot of responsability for that. 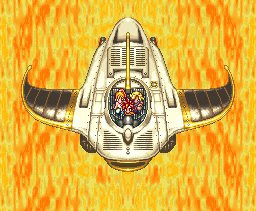 I think it's worth noting that Chrono Trigger's different endings are mostly Easter eggs for you to find on your second playthrough. This is a very linear RPG. Don't expect many big decisions that alter the course of the game. Chrono Trigger for 8 bucks on the VC is not a bad deal, but 10/10 is some pretty high praise. It looks good and it's easy to play, but it's also one shallow RPG. True. Just played it one time oh so long ago. Good time. Download time! Well, nothing coming this year for the VC is going to compare to this. Prove me wrong Nintendo. Prove me wrong. The rating system needs to go up to 11 for this game. This was an amazing game for sure. Been playing Radiant Historia DS. Im not far enough to compare it to Chrono Trigger, but if anyone else wants a new time RPG, its really good so far. In over 20 years of gaming (I'm 22) I have never played or even thought of playing chrono trigger. I will defanatly have to buy a 10/10 game. /sigh - I own every version, yet I'm guaranteed to buy this one. Why must I continue to spend my hard earned money on the same product? Why don't I have willpower? Why am I putting 1000 points on my Wii for the first time in a year while I'm typing this? Be back in 15 or so hours. Wow...I guess anybody who's anybody has to (or already has) play this game. I've never played it before, so I'll definitely get it. I couldn't stand JRPGs until someone showed me this classic. If it wasn't for Chrono Trigger, I probably wouldn't be playing games like the FF series or even learn to love Zelda. This is an important title to my personal gaming history. And yes, I was one of those players that wouldn't play it at first because there was "reading in it." @10 I totally agree with you. I should double check what the rating for Secret of Mana was on this site because if it wasn't a ten, I'd be disappointed. I prefer Secret of Mana, if you couldn't guess. I think I may try this game out. I've never been an RPG fan, but this one looks interesting to me. Seiken Densetsu 3 to me was much better than Secret of Mana IMO. So that alone would keep me from giving it a 10. Can't wait till I get back home on Sunday and download this. Going to try and get all of the endings this time. Being able to walk around the overworld without random battles is awesome. Should happen more often. The only real problem i've had with this game is that there are a ton of grammatical errors, but that's usually common with Square-Enix games, especially earlier ones like this one. I'm really disappointed Nintendo Life. I was really expecting no less than a 11/10. Guess you guys don't like the game as much as you say after all. Just kidding, can't wait to finish a game and then start this one up. It may be lacking in story sometimes, and it may be fairly easy at times, but its positive points well make up for the few negative ones. 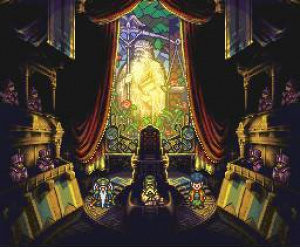 I actually like the story of Chrono Trigger better than FFVI's, because it has more elements of surprise and a constant stream of new content, which the vastly different time periods help to create. The only big issue I have was the lack of character given to the final boss. He just seems so nonexistant and boring when it isn't 1999. Is this game just as good on the DS? Because I never played it before but I really want to. i love the fact it has characters named ozzy, slash, and flea in it. Yeah the DS version is top notch, but some of us who played this originally on the SNES prefer the original. @34 It's not nearly so linear as you make it out to be. Also, just because you don't have to do any mathematical calculations doesn't make the game shallow. The game always forces you to think in different ways every time you meet a new enemy, and this is thinking that needs to be done quickly in real time. There's lots of complexity beyond simply the number of items in the command lists. By the end of the game there's almost too much that you can do anyways. Definitely going to get this game when it come out on PAL VC. I Haven't played it before as it never came out in Australia (on SNES anyway) but I love RPGs and I'm really looking forward to it. Indeed one of the greatest. Been playing since Monday and a good way through again. Have probably beaten this game from start to finish over 20 times and i still love it. 10/10!!! Tomorrow in our continent!!! I'm going to buy this tomorrow. Even though I don't lke RPGs... Or 16 bit graphics. @ 23. MARl0: "Personally I'd give Chrono Trigger a 9/10, and I'd give Final Fantasy 6 a 10/10. Chrono Trigger is awesome, but FF6 will always be the SNES's biggest and best RPG masterpiece." Absolutely. If Chrono Trigger gets a 10, then FF VI deserves it more than ever. I will agree with this review, even if I think it is biased by nostalgia a little bit. However, that being said, I will forever maintain that Tales of Phantasia is not only the greatest RPG on the SNES, but probably the greatest RPG of all time. It's a shame it never came to the US until it was ported to the GBA. But then again, my opinions vary from most people's anyway, since in my mind, Final Fantasy V > Final Fantasy VI. Its much better than Super Mario RPG which also recieved 10/10. But then I find Super Mario RPG to be a kids comic book in both story, gameplay and length compared to the hardback novel that is Final Fantasy III and the large paperback that is Chrono Trigger. Seiken Densetsu 3 to me was much better than Secret of Mana IMO. I've played both. SD3 has the better graphics and storyline but I feel that SoM has more enjoyable gameplay despite being simplistic. Also, I had infinite energy on SD3 and it took absolutely ages to defeat a boss near the end of the game. I would hate to have been playing the game without cheats. I gave up and somehow my file got deleted so I never got to complete SD3. @ 42 I agree... I hated the way JRPGs looked and played prior to CT, and CT shattered that conception by proving a JRPG doesn't have to have bit sized characters and mindless grinding to be fun... as a result, I went back still and played ALL FF's thru 6 (grinding, ugliness, and all) and ended up playing the Lufias, the Breath of Fires, SMRPG, and so many more. THANK YOU CHRONO TRIGGER, THANK YOU. Same problem with Final Fantasy IV too...except it's stupidly easy if you leveled yourself pretty high but that damn attack that disables magic healing is really annoying. Other then that it is a great game. I feel like I am walking in your shoes. Now that I have a 3DS, I still will get this on VC instead of the DS. If I like the game as much as you guys, there is always the option of upgrading. Thanks to the people commenting that this game is actually easy. One of the things that drive me away from classic JRPGs is the battles (specially bosses) who destroy you every time until you spend many hours grinding for levels. So if the game is easy, it will be better for me. @MeloMan - In truth, I've long wished Square-Enix would bring SD3 over to the US and UK, but it's never happened. Perhaps at some point it will make an appearance, but I'm not holding my breath. You need to play it if you haven't. An absolute VC essential! Few games I've played do such a great job at telling a story. This is probably the most linnear RPG on the SNES — and thus, the easiest — which takes CT down a notch, in my books. I prefer FF2 and 3. That said, I enjoyed CT a lot, but I'd give it an 8 or a 9. Final Fantasy VI, Mother 3, and Chrono Trigger are the holy trinity of the best RPG's in existence. I've recently been playing this game on the DS since it was released on VC, and I remember thinking it was awesome the last I played it years ago, but forgot just how awesome it really is. I seriously have trouble putting the game down. It's THAT good. The only problem with it is that it's too easy for most of the game. 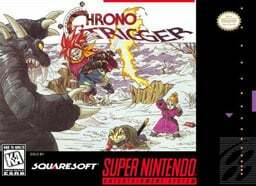 For someone new to old school RPG's is Chrono Trigger a good place to start? I don't like to much grinding in these type of games (i have Little King's Story). Is this better than Terranigma for the SNES? Seriously there isn't enough stars in the rating scale for this game! @Scottie Chrono Trigger is a great place ot start, next to no grinding required. Last time I played it I can only think of one spot where I had to. I heard rumors about this awhile back and I'm truly glad they released it on the VC. I have the original SNES, PS and DS versions of this game and I still love playing it to this day. CT was one of the reasons why I bought the SNES back in the day and even after playing video games since the days of Atari, I still rank CT as my favorite game of all time, hands down to this day. Wow, good game. The first RPG since ToS I really played through (and I bought ToS day 1...). It's a bit easy, but has it's challeging moments: If you have absolutly no clue what to do, you will die at first try. I'm slightly dissapointed by most of the endings. Most of them are just easter egg endings with no epic feel (looked them up in the internet). Nevertheless, it's an entertaining RPG game. It's not that heavy on story and character like FFIII, but still a full grown experience. Actually, it was such a nice experience, I will have a second look at SoM and SMRPG. I recall back in the day I set out to record each of the endings on VHS, and I'm pretty sure I did. Wonder whatever happened to that tape. Yay I've heard good things about this game but yet I've never played it before :S I got it of the VC and so far its awesome! Chrono Trigger is a masterpiece, plain and simple. No matter how well you review it, no review can truly do the game justice. Chrono Trigger and The Legend of Zelda: Ocarina of Time are the only two games I'd score 11/10 to. Been playing this first time ever. I do enjoy it so far, the battles are interesting and the story is fairly good (though I can name better RPG stories on several hands). One problem I have so far is with the music. Its not really interesting, and the battle music especially is really boring. I like some of the overworld music though. Lol @ people who are complaining. Not every game has to be easy! Just because you don't like the way things are doesn't mean it makes the game bad. While other people even like to do the backtrack. Nothing wrong with that at all. 10/10 is the score for this game. Totally not overrated! !